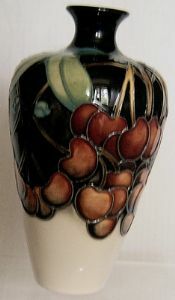 This is an excellent chance to acquire a really stunning 1980s 'Cherries' Vase manufactured by Moorcroft Pottery . The beautifully designed paperweight was created by Kerry Goodwin and forms part of Moorcoft's Mediterranean Collection . 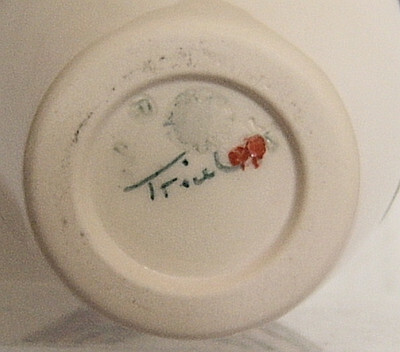 This particular vase is a 'Trial' under shape number 72/6. It has a height of 6.25 inches (16 cms). Overall, the condition is excellent. I am more than happy to provide further photos if required. UK delivery is FREE OF CHARGE.